On 9th February 2017 Nubia announced launch of software update that has gone live. The users can visit www.nubia.com/in and download. Nubia is a Part of ZTE mobiles. Inspiring the world to “Be Yourself,” nubia continues to elevate lifestyles by encouraging users to chase their dreams and pursue new passions. Nubia have headquarters in China and operations around the world including North America, South America, Europe, Russia, Southeast Asia and India. 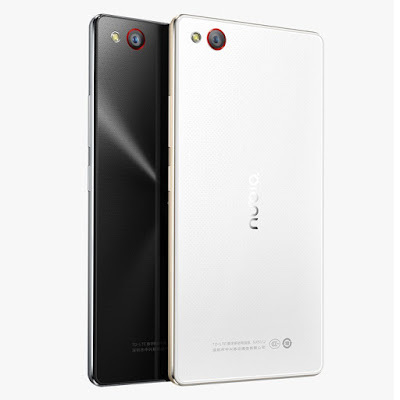 Nubia is well known brand for their smartphone and professional photography functions. Also Read : Nubia unveils Nubia N1 Having 13 MP Back And Front Camera Android Smartphone In India. Through this update, nubia provides their customers with features like VoLTE support, android security patches for Google and camera upgrades. This new software update introduce completely new nubia 4.0 UI and a fresh system upgrade to Nubia Z9 Mini. The software patch also brings nubia’s patented Frame interactive Technology a new dimension for interaction, where consumers can control their phones through the screen edges. The Nubia Z9 Mini comes with excellent camera quality that features the Sony Exmor R 16MP primary and 8MP front camera. Nubia Z9 Mini supported by the NeoVision system, which enables the user with excellent manual photography possibilities. The camera that comes with beauty filters, and smart fill light for better night photography. Along side the design made of aircraft grade alloy for absolute robustness and rigidity. On UI front, nubia 4.0 UI finds a balance between elegant simplicity in flat design full of bright colours and clever interactions. Not only this but with this new updates system is also well optimized for batter performance with excellent battery life. The update from nubia features the latest optimized Google GMS patch besides including better calendar. "We are stylish and a lifestyle brand. If it is not latest and most innovative, then it is not for the millennial populace that we aim to connect with. At nubia, we will undertake initiatives to establish nubia as one of the most preferred among major global brands in India. Our consumers and Indian mobile phone users can expect us to surprise them with even more devices with high quality features that will be launched in this year." SIM : dual SIM Device. Screen : 5-inch full HD SHARP CGS display having 441 ppi density. Protection: Corning Gorilla Glass 3 protection. Processor: Powered by 64 bit 1.5GHz Snapdragon 615 octa-core processor . Memory :2GB RAM memory, and a 16 GB internal expandable up to 128 GB with external SD card. Camera: 16MP rear camera and 8MP selfie Shooter. Battery : 2900 mAh non removable battery. So here is all about latest update for Nubia Z9 Mini. If you have any question let us know in comment. Stay tuned for more. Thank you for reading.